Are you ready to start September with a jazz tour? 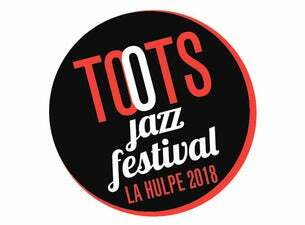 If so, we recommend saving September 7th, 8th and 9th on your calendar, when the Toots Jazz Festival - a tribute to the great artist Toots Thielemans - is coming to La Hulpe (Walloon Brabant). This third edition intends to stick to the spirit of the first one, by combining swing and conviviality. And just like the previous editions, Toots Jazz Festival offers you both legendary artists as upcoming talents, with roaring names like Manu Dibango, Kimberose, David Linx & BJO, Kenny Werner & Grégoire Maret, José Van Dam & J.-L. Rassinfosse, J.-P. Collard-Neven, Rhoda Scott & The Lady Quartet, Cesaria Evora Orchestra.